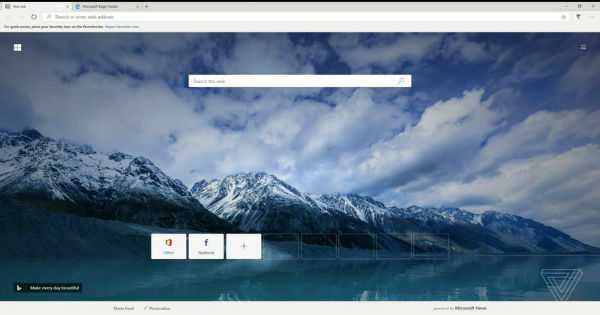 Microsoft has confirmed that the brand is revamping its Edge browser using Chromium open-source engine rather than HTML. 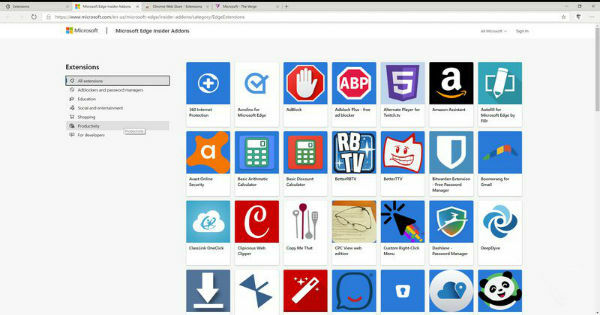 Now, ahead of the release, The Verge and Thurrott, have got hold of the leaked internal build of the Microsoft Edge showing us a glimpse of the browser’s new look. 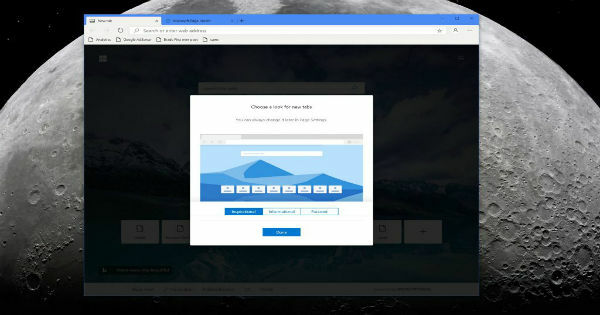 The Chromium-based Edge browser will include the ability to import bookmarks, passwords, and browsing history from your current browser. This shift from EdgeHTML will make Microsoft Edge compatible with other operating systems including macOS, Windows 7 and 8. The browser will prompt users to pick a style for the default tab page upon installing, and it also includes read-aloud functionality from current Edge browser version, which essentially reads out loud the web pages. There is dark theme support, but can only be enabled via a flag as it is still in the testing phase. 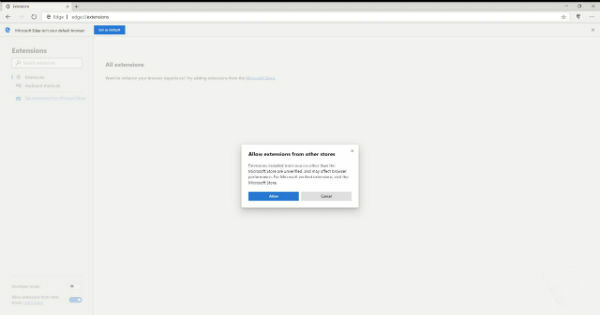 As the browser is built on Chromium, there’s support for extensions and will also allow users to install extensions from Chrome web store as well. While there is sync support, it is only limited to favourites, for now, sync for settings, history, extensions, passwords, and autofill should be available at a later stage. The sync is based on Microsoft account, and not Google. While most of the Edge browser’s features aren’t available right away, Microsoft might polish the browser and bring them on board in time for the stable release. The Verge notes that for a test build, the Edge browser built on Chromium is quite refined and fast to load the web pages as well. At the moment, it is unclear when Microsoft’s new Edge browser would be available for everyone, but given how it still needs few additions and features, it might be a while. So stay tuned for more updates.